Colin Cambre practices in the area of admiralty law. He specializes in the areas of maritime personal injury defense and litigation, Jones Act and Longshore and Harbor Workers’ Compensation Act claims, and maritime collision and property damage defense and litigation. He has experience conducting shipboard investigations for vessel collisions, personal injury and cargo damage. 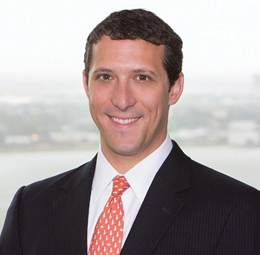 Mr. Cambre has represented clients in state and federal courts in all aspects of litigation. He has handled numerous cases through mediation and court sponsored settlement conferences. Representation of a national company in the aggregate industry in a major casualty involving the deaths of five oilfield executives. Representation of a South Louisiana shipbuilder in countless Longshore and Harbor Workers’ Compensation Act (LHWCA) claims. Representation of vessel operators in the Gulf of Mexico and inland waterways in relation to allision, collision, and personal injury claims. Representation of various vessel owners and operators in lawsuits filed by offshore workers based on the Jones Act, General Maritime Law, and the LHWCA.